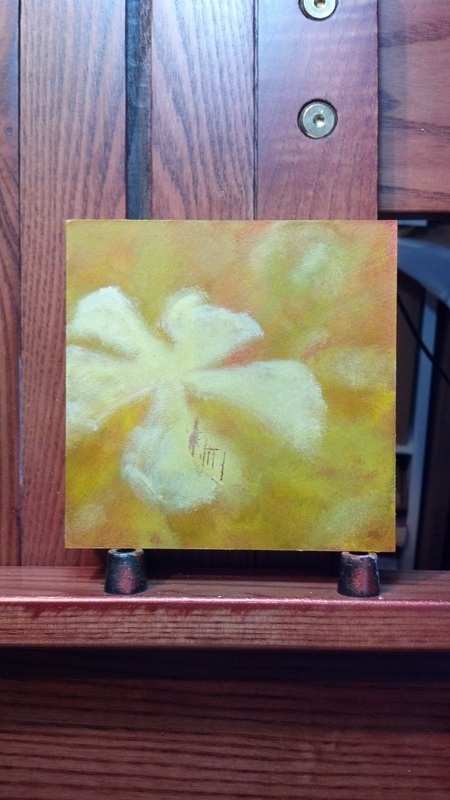 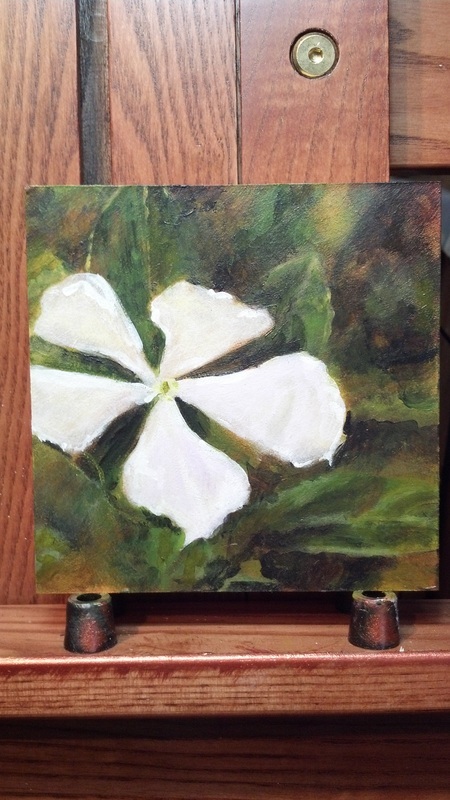 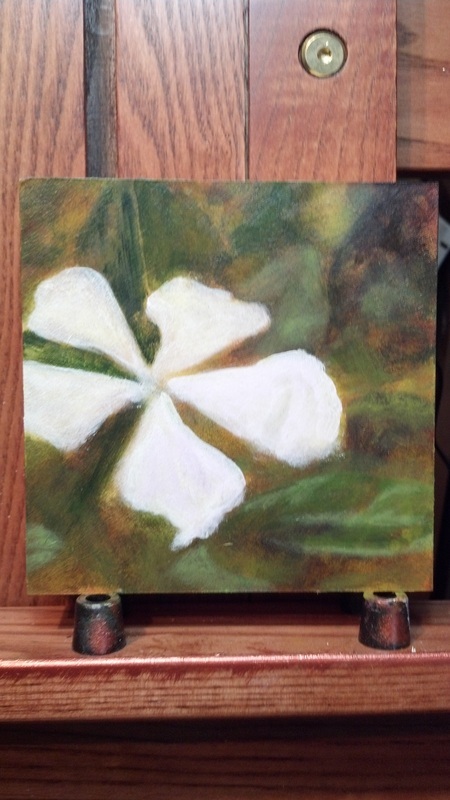 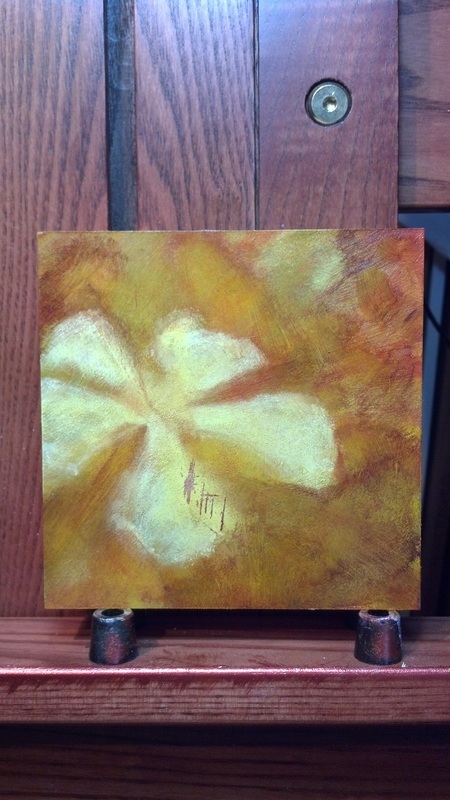 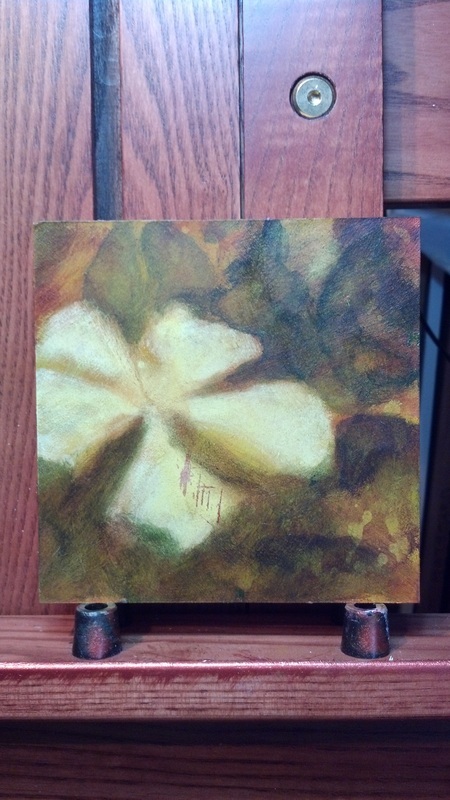 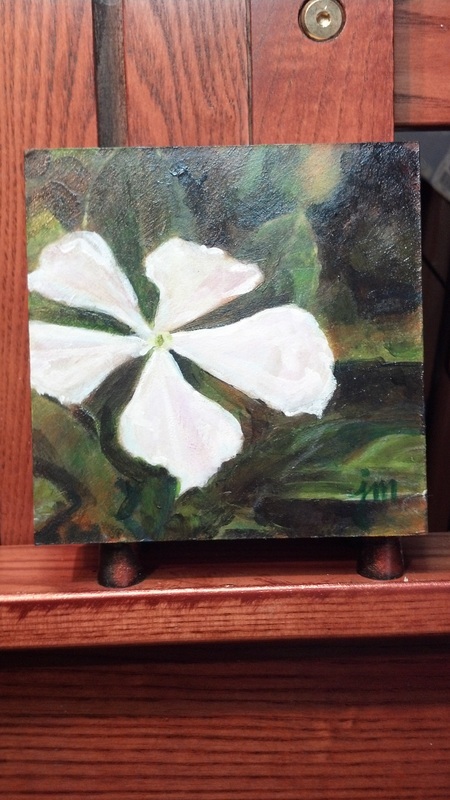 Starting with a layer of copper paint as a base coat on the 5" square panel, yellows were layered on and the blossom was blocked out. 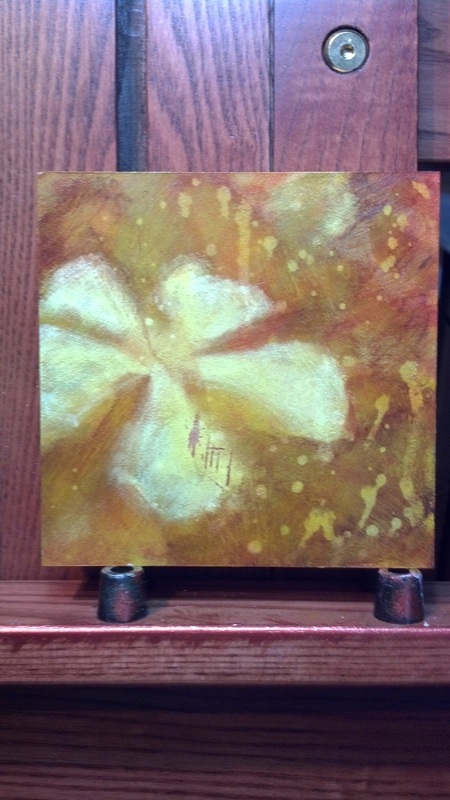 The background was built up with golds and ochre, spritz of water and paper towel lifted out color and gave the piece additional texture. 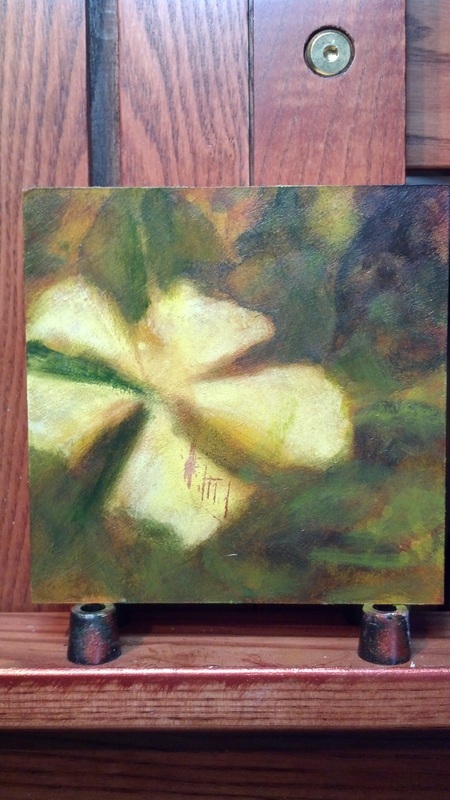 Greens were layered on, allowing a glow of yellow and copper to highlight to the leaves and create an illusion of depth against the cool dark green of the background and the white "pop" of the plant's bloom.